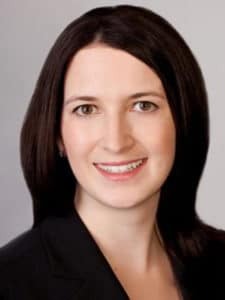 Topic – Facebook marketing: During the 2018-2019 season, Carmella Consulting operationalized a number of Facebook campaigns to build participation at curling rinks. She will walk us through these test cases and the amazing results. These are tools you can use to operate your own campaign in your communities! About Stephanie O’Brien: Entrepreneurial at heart, Stephanie always looks for opportunities to collaborate and elevate the status quo. A former National Coach of the Year, she endeavours to listen, understand, and help her clients excel in their own wheelhouses by helping them to produce their own branded storytelling. She tackles content marketing and everything in the digital space, with a focus on social media marketing. Topic – Ice & water: A curling stone appreciates good ice as it travels down the sheet to the away end house. Our rinks must strive to create conditions to keep the curling stone happy! One of the first steps is water quality. The session will also talk about paint and logos. About Jet Ice: Jet Ice is proud to be an all-Canadian ice-making company. They offer a complete range of products and services for the ice-making industry, including ice paints, ice painting services, custom in-ice logo stencils, application packages, water treatment systems and training seminars. Jet Ice products are used by more facilities around the world than all other competitive brands combined. Why? Because in addition to providing high quality products and services, Jet Ice offers creative solutions that meet the needs of the ice making industry. Dave Loverock has been in the industry for over 30 years and has worked to install ice at multiple high-profile venues including the Olympics, NHL Games and various special events. He has provided hands on training for ice painting throughout North America for many many years. With that experience, he has gained considerable insight into what works and what does not work in the field of ice painting and maintenance. Topic #1 – Risk management: The 21st century has brought with it complex and dynamic risk management problems that require sophisticated decision making to properly address them. When we say “sophisticated” we don’t mean onerous, time-consuming, or expensive. Instead, our process for risk management decision-making allows for progressive, practical and nimble solutions that take into an organization’s current reality and organizational values. Topic #2 – Helmets: Thoughts and considerations on helmet risk management for Canadian curling rinks. 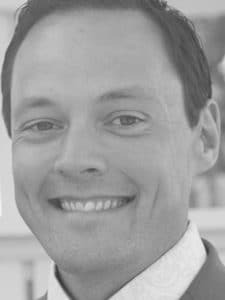 About Steve Indig: Steve began his career with the Sport Law & Strategy Group in 2003 immediately after being called to the bar as a lawyer. 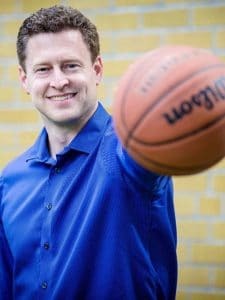 Steve has had the opportunity to work with over 650 national, provincial, and local sport organizations providing consulting and legal services related to governance, employment, contracts, policies, disputes, and privacy. He is a regular guest speaker and presenter at AGMs, conferences, and workshops, and also acts as a mediator and adjudicator. Topic – Sponsorship: This workshop is a focused, “roll up your sleeves” practical, hands-on training session covering a specific aspect of sponsorship including: inventory development, sponsorship asset valuation, prospecting and getting meetings, discovery sessions, proposal building, fulfilment, activation and sponsor summits. 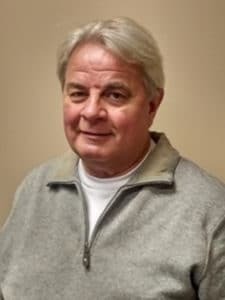 About Brent Barootes: Brent has spent over 25 years in the sponsorship marketing industry, developing and delivering profitable sponsorship programs that result in returns on investment for properties, rights holders and sponsors. As President and CEO of the Partnership Group – Sponsorship Specialists®, he leads a dedicated team of professionals delivering measurable results for their clients. Brent has “worked the street” selling sport properties and charitable sponsorships for over a decade, as well as expertise on the buying side. Since founding the Partnership Group in 2001, Brent has provided his expertise to all sectors of the industry as a sponsorship leader and pioneer in Canada. Topic #1 – Demographics: how & where to find them, how to understand them, how they will affect the club’s business, and how clubs can use the information to build your business. Topic #2 – Funding strategies: A major consideration in infrastructure development is the ability of the project to attain funding from external sources. The ability for projects to generate capital and/or operational investment from other sources, be it through fundraising, grants or sponsorship, is be vital to a project moving forward. About RC Strategies and PERC: It is a consulting company specializing in community development, public engagement, and wellness infrastructure. The company was founded in 1988. In the spring of 2016, RC Strategies Inc. merged with Professional Environmental Recreation Consultants (PERC). PERC was established in 1975 and has completed over 1,000 recreation-related planning projects. This multi-faceted firm is able to provide a broad range of services to local and senior-level governments, non-profit, and private sector groups in an efficient, practical and professional manner. RC Strategies+PERC provides clients access to services including needs assessment, market and feasibility analysis, business case assessment and planning, and strategic master planning. 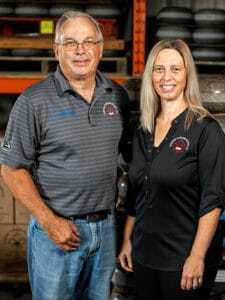 About Art Sutherland & Accent Refrigeration: Accent Refrigeration Systems was founded by Art Sutherland and Greg Hillman, who have been working together since 1980. They launched their company with a mission to develop the most efficient and reliable refrigeration systems in the world. By all accounts, they have more than succeeded. Each year, Accent Refrigeration sets the bar higher with new innovations and developments that improve the operation of recreational ice facilities around the globe. Accent Refrigeration Systems has completed projects on six continents for private, public, university and professional facilities as well as three Olympic Games, with custom-crafted refrigeration systems that have been rated as the most efficient in the world. The presenter will be part of a small group of world class ice technicians working for curling in Canada having an exemplary career. The quality of ice and stones at Curling Canada events is the result of a depth of knowledge and experience. which are qualities this Commission will be well served. He is also a key resource in respect to building or renovating Canadian curling rinks including troubleshooting individual club issues. 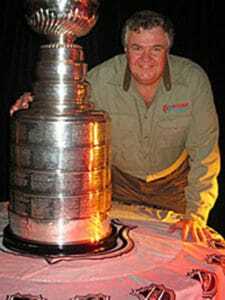 He fully understands the making and maintaining of ice from the club level to the world stage. 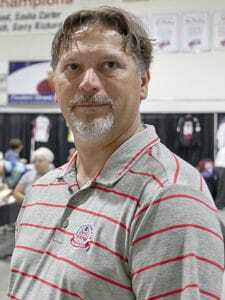 He strives to make great curling ice regardless if it is a two-sheet building in a small Canadian prairie town, or a 10,000 seat arena for our national championships. Topic #1 – CURLING 101: The program is a family-focused open house getting youth and their parents and new adults on the ice to try curling. How is it different from a regular open house? This program developed by Rock Solid Productions is a marketing tool that gets them the gym or the couch to the rink! Abbie will walk you through it and how it works. Topic #2 – Marketing to minority groups: Slowly the makeup of curling rink memberships is moving closer to the actual Canadian melting pot of your society. Abbie will share some tips about how to be in touch with them and then how to turn them on to curling. 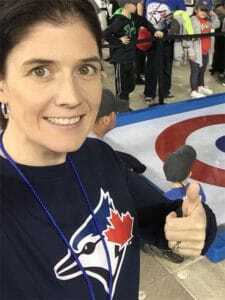 About Abbie Darnley: Abbie is the Director of Event Operations at Rock Solid Productions Inc., a company for 10 years who has focused on growing the sport of curling through unique iceless products and marketing initiatives. 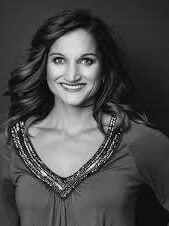 She is a highly skilled sports industry professional whose background includes coaching, advertising, athletics, and work in the hospitality and recreation industries. Abbie’s extensive experience and strong operational skills are accompanied by a Bachelor of Science Honors focused in Sport Management from Brock University. Topic – Adult learn-to-curl leagues: These leagues are the next great innovation in Canadian curling. But what exactly is an adult learn-to-curl league? As the name suggests, these leagues are geared to adults new to the sport (or re-entering the sport after a prolonged absence). Participants receive weekly instruction from trained instructors about the delivery, sweeping, etiquette, and strategy. By the end of the program (either eight, 12, or 26 weeks), new curlers have acquired the necessary skills to progress into experienced club leagues (e.g., men’s, women’s, mixed). About Anna Keller: Anna has been involved from the first day (2008) with the Adult Learn to Curl Pilot Project in Ottawa. Since then she has been involved and organized numerous adult-learn-to-curl programs at curling clubs big and small. Anna also created the “Train-the-Trainer” program, which teaches curlers how to be curling instructors. Anna is a frequent instructor and speaker at Business of Curling programs and curling courses. When not curling, Anna is a practising lawyer at Shopify. Topic – Removing the mystery of curling stones: Types, costs, maintenance, profiling, texturing. About Canada Curling Stone: The Tuck’s family-owned company has been a leader in the world of curling stone manufacturing since 1992, a name synonymous with excellence in quality and customer service. Whether it’s their Trefor granite curling stones replacing an old set of stones giving new life to the game, or their 25lb LiteRock junior stones helping to teach kids to curl, or top of line ice equipment; they take great pride in the work they do in our sport. Topic: Without fail, most Canadian curling rinks rely on volunteer help to meet all their operational needs during the season. And without fail, we keep hearing volunteers are more and more difficult to recruit. The key reason lies with the busy lives of all Canadians and time is the new currency for many. How do we manage volunteers facing this barrier to our business? There are successful volunteer operations at a number of curling rinks. A successful volunteer program utilizes a TEAM approach to enhance the recruitment, training and retention of volunteers. These are some the function-based tools used in each of these areas. 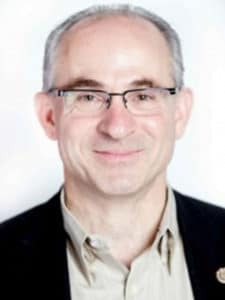 About Jack Bowman: Jack is from Brentwood Bay on Vancouver Island and has had many leadership roles including on local curling club boards, as the Executive Director for the Pacific Coast Curling Association until amalgamation in 2004 and was elected to the Canadian Curling Association Board in 2006. During the 2010-11 season, he chaired the board. Jack was also a Canadian representative to the World Curling Federation. 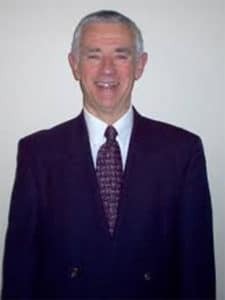 Jack currently serves as a part time Consultant for Curl BC and has been a regular speaker at Business of Curling Symposiums all across Canada. Topic – Curling business planning: You can take an enthusiastic group of 50 curlers and transform that into a curling club with a renowned facility. This worked in Ontario, and it can work worldwide. We will show you how it’s done! About Mark Inglis: Mark is a Landscape Architect and Recreation Planner. Writer: regular contributor to popular press: CurlingZone blogs; Author of Club Curling Corner – The Curling News; blogs at www.yorkurbanist.com; editor of two newsletters currently and many in the past; author of parks and recreation master plans (including curling); technical writing of construction contracts and specifications for the construction of curling clubs. Topic – Food & beverage: We “think” we know what our long time members want for food & beverage, but we know we don’t know what Canadians who are new to curling want from us when they come to curl every week. This session will examine current trends and what may be on the horizon. Our existing and future customers are much more discriminating than past members; are we doing enough to keep them? 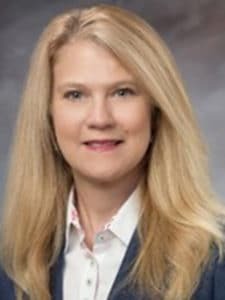 About Kim Iwamoto: A love of food and wine, coupled with sound business acumen created a professional whose expertise is in management within the private club industry. More than just hospitality, private clubs are about the members, the relationships, and genuine enjoyment of people. A relentless passion for learning, currently expanding food and beverage knowledge with membership of the Chaine de Rottiseurs – as Vice-Chancelier; an association of like minded professionals whose purpose is to aid and encourage the development of young chefs and sommeliers worldwide through national and international competitions. Topic – What do you do when you’re not curling? : Property taxes and insurance bills likely keep coming year round. To generate more income, many clubs use their off-season to do just that. Our presenter does just that in Kelowna with a ground-breaking program called Curlandia! 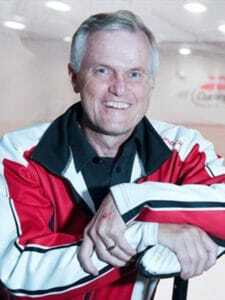 About Jock Tyre: Jock has been the general manager of the Kelowna Curling Club for 20 years. Curling club manager round table: We have a select group of top club managers who have their clubs running on all cylinders with creative programming and superior customer service. Join us for a lively discussion of where the business is headed.